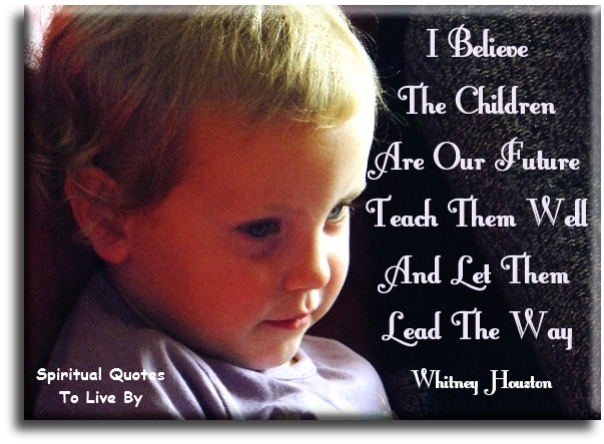 These inspirational educational quotes are words of wisdom and positive attitudes about education, learning and reading. 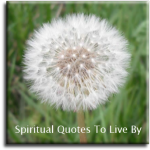 The quotes are on this page are from known sources and surnames F through to M. The other education quote pages are A to E and N to Z. Words from unknown sources are on the Education Sayings page. 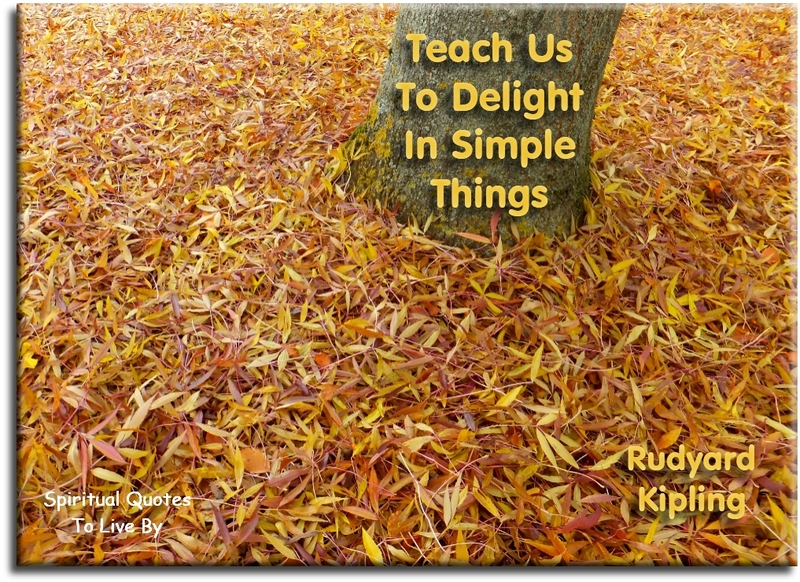 There are also pages of Teacher Quotes and Teacher Sayings, for more positive inspiration. Educations purpose is to replace an empty mind, with an open one. 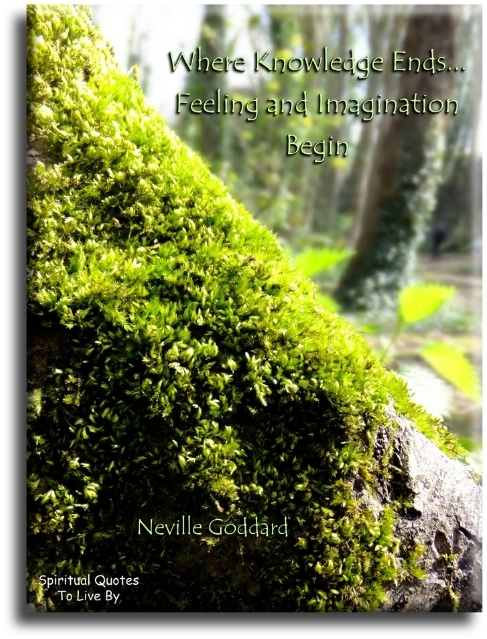 Literature is the province of imagination, and stories, in whatever guise, are meditations on life. Today a reader... tomorrow a leader. A book is a dream that you can hold in your hand. In education the life of the mind proceeds gradually from scientific experiments to intellectual theories, to spiritual feeling, and then to God. The light of stars that were extinguished ages ago still reaches us. So it is with great men who died centuries ago, but still reach us with the radiations of their personality. To be a good scientist, you have to use your heart because that’s where the information comes first. 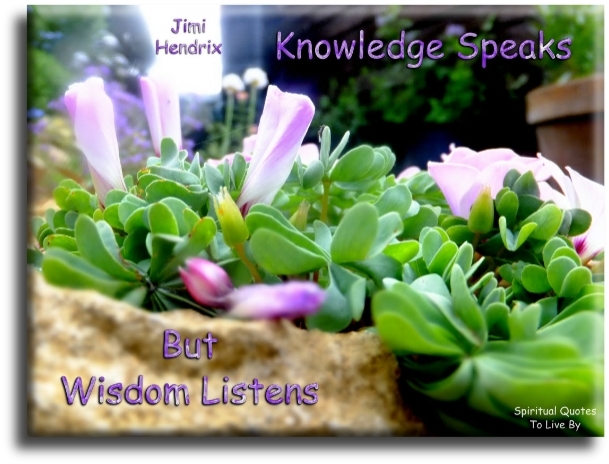 Knowledge speaks... but wisdom listens. You learn by doing, there is no other way. To learn to read is to light fire, every syllable that is spelled out is a spark. 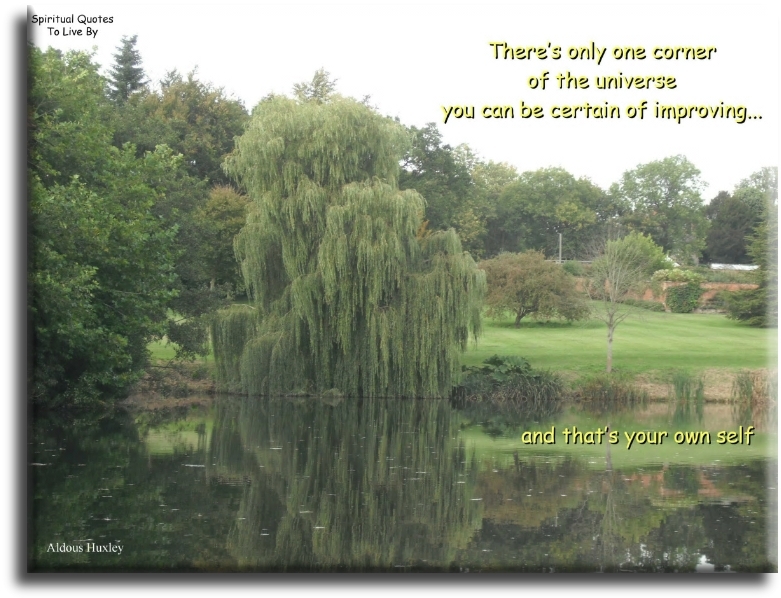 There's only one corner of the Universe you can be certain of improving, and that's your own self. Every man who knows how to read has it in his power to magnify himself, to multiply the ways in which he exists, to make his life full, significant and interesting. Children are educated by what the grown-up is... and not by his talk. The beautiful thing about learning is... that no one can take it away from you. A lifestyle of reading puts the vast knowledge of the ages into the hands of our children. Exchanging the life-long riches of a love of reading for the temporary value of facts gleaned from required reading lists is a paltry deal, indeed. Encourage reading, yes but let their hearts, their interests, their imaginations choose their reading material. Whatever momentary facts they need for the next test or quiz can be found just as easily on Google. A passion for reading can only be found in the heart of the child. Education in the true sense is helping the individual to be mature and free, to flower greatly in love and goodness. That is what we should be interested in, and not in shaping the child according to some idealistic pattern. If you give a man a fish he will eat once. If you teach a man to fish he will eat for the rest of his life. If you are thinking a year ahead sow seed. If you are thinking ten years ahead plant a tree. If you are thinking one hundred years ahead educate the people. 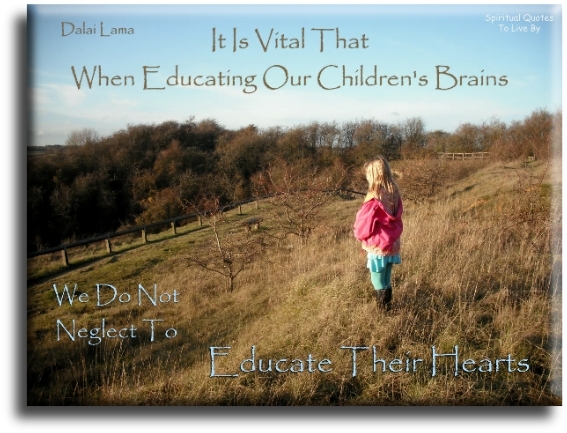 It is vital that when educating our children's brains, that we do not neglect to educate their hearts. The time has come to take concrete steps to bring about a real transformation in the ways we educate our future generations. We need to combine both an education of the mind with and education of the heart. The royal road to knowledge, all may win, who seek the source of life in everything. What education is to the individual man, revelation is to the human race. Education is revelation coming to the individual man, and revelation is education that has come, and is still coming to the human race. The things I want to know are in books. My best friend is the man who'l get me a book I haven't read. Teach children to look at a flower and see all the things it represents: beauty, the health of an ecosystem, and the potential for healing. Many people have written eloquently about the power of books, how they educate, elucidate, take you to new cultures, give you new experiences and vantage points, open your heart and mind and pierce your Soul. We start out as pretty creative beings... Children let their imaginations take them to place they've never seen and do things that seem impossible. We encourage it as fun and playtime, but we should celebrate it as the potential for great discovery and accomplishment. The real purpose of books is to trap the mind into doing it's own thinking. The aim of education should be to convert the mind into a living fountain, and not a reservoir. If each person has natural gifts and innate talents, then the true nature of education must involve the awakening, inviting and blessing of the inner genius and unique life spirit of each young person. 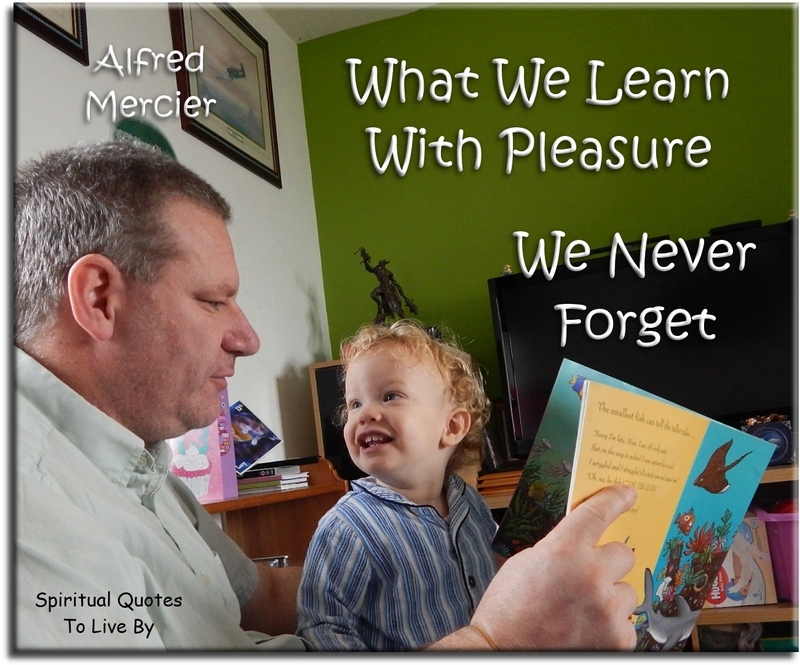 What we learn with pleasure... we never forget. Teaching a child not to step on a caterpillar, is as valuable to the child as it is to the caterpillar. Gardening is learning, learning, learning. That’s the fun of it. You’re always learning. 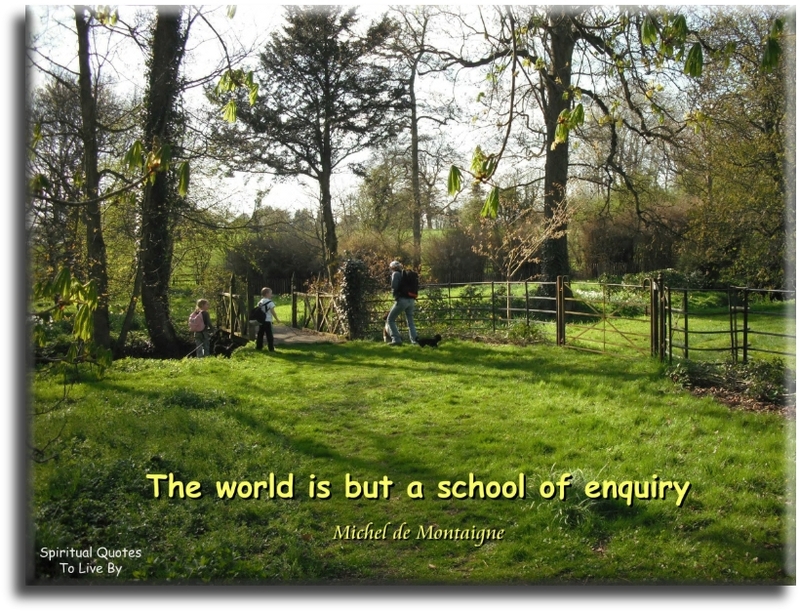 The world is but a school of enquiry. A journal helps us to live our life time and again. There is no greater life enhancer, life-expander and teacher than a journal. Art can dissect and analyze and art can compose and harmonize. The scientific age was accompanies by a dissecting and analytical art. The holistic age is seeing the rebirth of a composing and harmonizing art. Art is spirituality. Art is thought. Art is imagination. Art is feeling. Art is action. Art is the highest expression of life, of being. Art and life must be one. Art makes humans co-creators with God. It is therefore a Holy, Divine activity. Each day of life is precious even incredibly precious: therefore write the history of each day. Keep a journal. Preserve your life. Journal keeping should be taught in all schools of Earth. Learn proverbs. Speak in proverbs. Teach with proverbs. They are humanity’s most condensed form of wisdom. 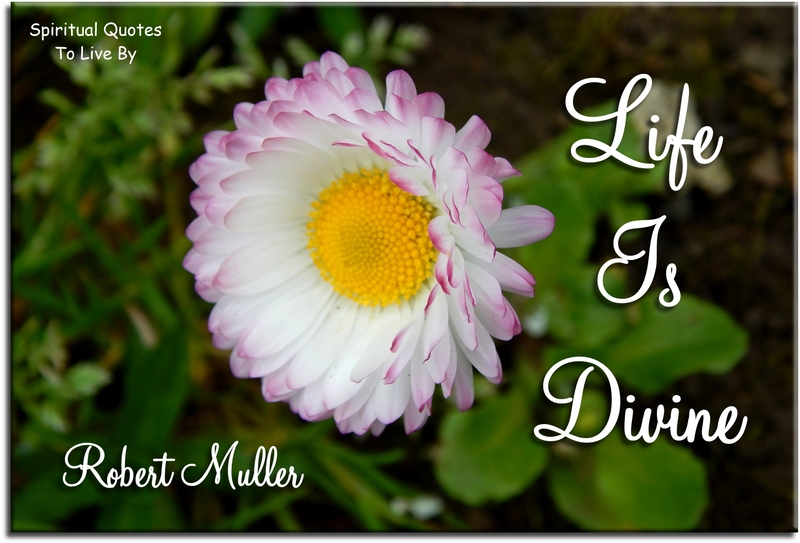 Life is Divine.. Das Leben ist g ttlich. I wish this exclamation of mine as a child were translated in all languages and displayed in every school on Earth. Love must become the subject of serious scientific study. Loved children are healthier, happier, more peaceful children. Loved husbands have seldom heart attacks. Loved plants grow better. Loved animals are not vicious. Loved nations do not wage war. A humanity of loving people will be a peaceful humanity. To promote love means therefore to promote peace. Yes, let us have a love-logy, a science of love, to start with a World University of Love. 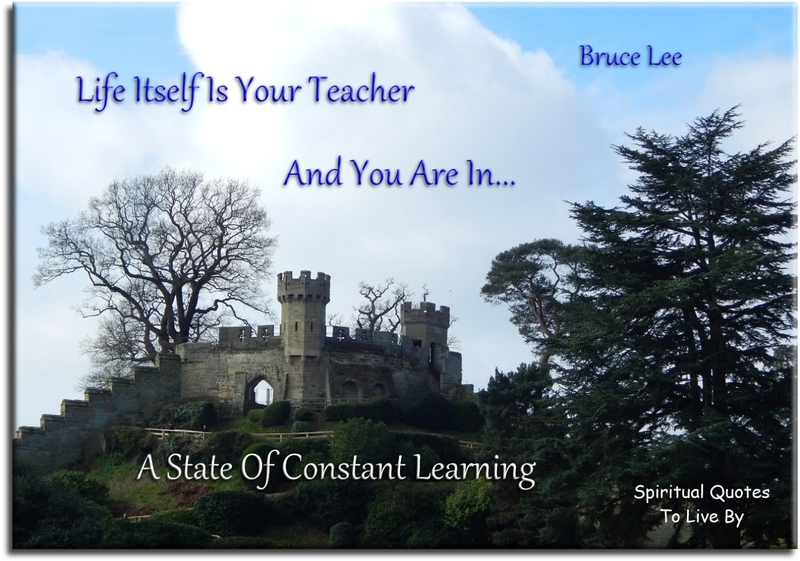 Never cease to learn life from yourself and from others. Write it all down to perfect yourself and to impart your wisdom to those who will follow. No university on Earth gives master’s degrees of living, of happiness. How strange! We seem to be missing the essential, the all-encompassing knowledge for which universities were originally created! Read only good books, inspiring books, non-depressing books. Do not waste money on prefabricated best-sellers. Read a few pages of them before disbursing your money. Know that they are not supposed to last, since your money will be solicited almost immediately for the next one. Seek books which you will keep and read time and again for your happiness, enrichment and life fulfilment. We do not see the world as it is.. We see it as we are taught to see it. The same is generally true of our view of humanity, of the Universe, of history and of ourselves. Free yourself, escape from the possible falsehoods. Writing and art are preserved life, a form of duration, of eternity.